The Surface Pro 4 may reign supreme but news about the original Surface Pro and its descendants is heating up. 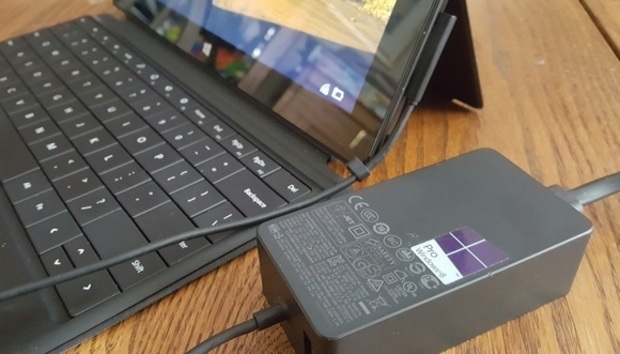 Microsoft is set to announce a voluntary recall this week for the AC power cords sold with the Surface Pro, Surface Pro 2, and Surface Pro 3. The cords can apparently overheat if they are “wound too tightly, twisted, or pinched for an extended period of time,” a Microsoft spokesperson confirmed to ZDNet. The company plans to release details on how Surface Pro users can get a free swap for a new cord “shortly.” An earlier report by Channelnomics Europe said the recall would start on Friday. The Channelnomics report also said that the recall would affect all Surface Pro models sold before July 2015. However, a Microsoft spokesperson confirmed to ZDNet that in the U.S. the recall would only be for tablets sold before March 2015. The Surface Pro 4 was released in October and is not affected by the recall. It’s not clear how many people are affected by the recall. Microsoft claims it is only a “very small proportion” of Surface Pro buyers. The impact on you at home: Microsoft plans to introduce a website in the coming days with more information about how to take advantage of the recall. Presumably, this will happen on Friday in line with the Channelnomics report, but so far Microsoft has not confirmed this. Microsoft did not say in its statement whether Surface Pro owners should immediately stop using their cables. Until further notice, that couldn’t hurt—or at the very least do not leave a Surface Pro, Pro 2, or Pro 3 plugged in and unattended.